Approximately 14 to 18 percent of high school students and between 12 to 35 percent of college students in the United States engage in some form of self-injurious behavior at least once. The age of onset often occurs in early adolescence, between the ages of 11 and 14. While self-harm is of serious concern for parents, families, and teachers, it's important to know that when the right approach and treatment is provided in a timely manner, this behavior is highly treatable. But kids who self-harm need treatment right away. Giving in to pleas for more time and delaying treatment can lead to further, more serious injury. While we often hear about the number of teens who engage in this behavior, the majority who are treated appropriately can go on to lead happy, healthy lives. Is an act of self-harm a form of suicide? Can it lead to suicide? This type of self-harm is known as non-suicidal self-injury (NSSI), which by definition is the deliberate, intentional damage to one's body tissue without the intention of dying. There is no intention of suicide, however, there can be a high correlation with suicide if self-injurious behavior goes untreated. Why do adolescents cut or engage in other self-harm activities? It's most often a way of trying to manage emotions. For example, when teens cut themselves, they will usually experience a sense of calmness. It also appears that the vast majority of teens who self-injure are those who have a high degree of self-criticalness and self-loathing. Self-injury helps them to contain their emotions. Or conversely, if they feel numb and empty, they use self-injury to feel something. A small percentage of teens use self-injury for avoidance or to create a distraction. An even smaller percentage use it to get attention. And for a very small group of kids, they use it to punish themselves because they feel they don't deserve to live, breathe, or take up space. They may cut themselves in the context of an extreme emotional situation. This is a group of highly-emotional and sensitive adolescents who frequently feel things more intensely than their peers, but that doesn't necessarily distinguish who would engage in self-injury. This type of behavior is about not having the skill set to modulate emotions in conjunction with a high degree of self-criticalness. There are other factors that can come into play as well, such as co-occurring mental illnesses including depression, anxiety, bipolar disorder, substance use, and/or a history of trauma. What are the most effective ways to respond to an incident of self-harm behavior? It's important to not overreact. Try to assume a matter of fact approach, without judgment. Try to stay open minded and validate the teen's emotions. Validation is key to keeping an open dialogue. Get an assessment of whether or not the behavior is self-injurious in order to manage one's feelings or if the intention is to commit suicide. Assuming the behavior is non-suicidal, I suggest that parents start with their primary care doctor to help find a therapist who is highly trained and has a track record of treating adolescents with self-injurious behavior. Elements of successful treatment for self-injury include individual therapy with a skills component such as dialectical behavior therapy (DBT), which is a type of cognitive therapy that helps one increase emotional and cognitive regulation by improving coping skills. It's also important to include family skills training and family therapy. 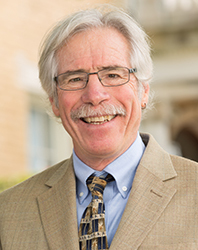 Michael R. Hollander, PhD, is the director of training and a senior consultant for 3East, McLean Hospital's DBT treatment program for adolescents, and an assistant professor of psychology in the Department of Psychiatry, part-time, at Harvard Medical School. A nationally recognized expert on the causation and treatment of self-injury, he has been treating adolescents and their families for over 40 years and lectures throughout the United States on this subject. His book, Helping Teens Who Cut: Understanding and Ending Self-Injury, was published in 2008. Additional information on self-harm can be found in the webinar "Assessing and Treating Self-Injury", led by Dr. Hollander as part of McLean's Borderline Personality Disorder Patient and Family Education Initiative.